I love appetizer type food. I love to prepare it, serve it and eat it. There are just so many amazing appetizer recipes to create and just as many gorgeous ways to present it and serve it. Especially around the holidays with all the beautiful decorations and cozy ambiance. 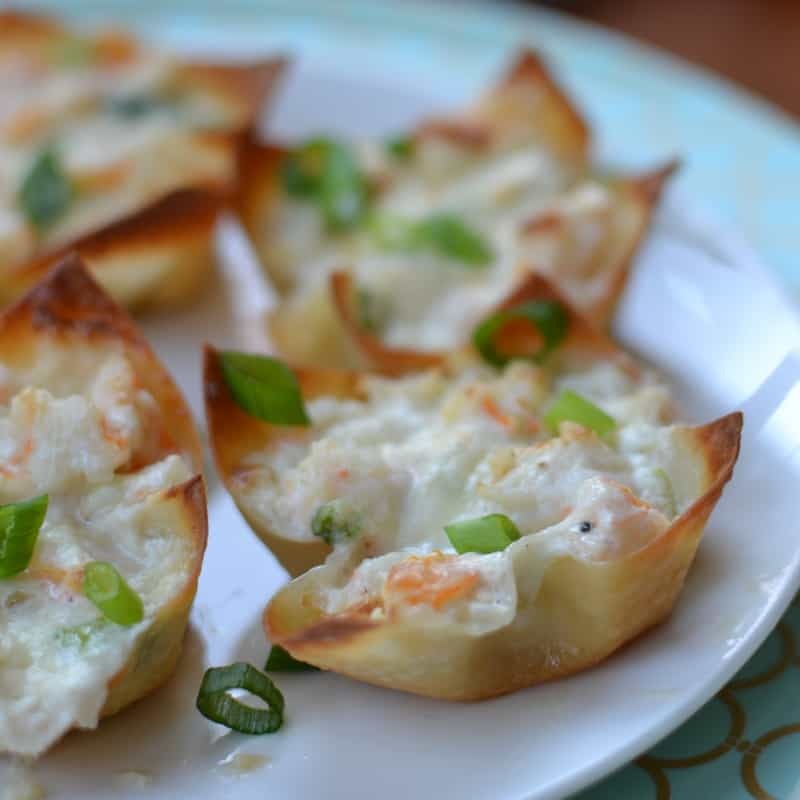 These Triple Cheese Shrimp Dip Wontons are easy and amazingly delicious. You can prepare the filling ahead of time and be ready to stuff those babies just before your guests arrive. Pop them in the oven for about fifteen minutes and greet all of your hungry friends and family with a hot delectable hors d’oeuvre that will knock their socks off. 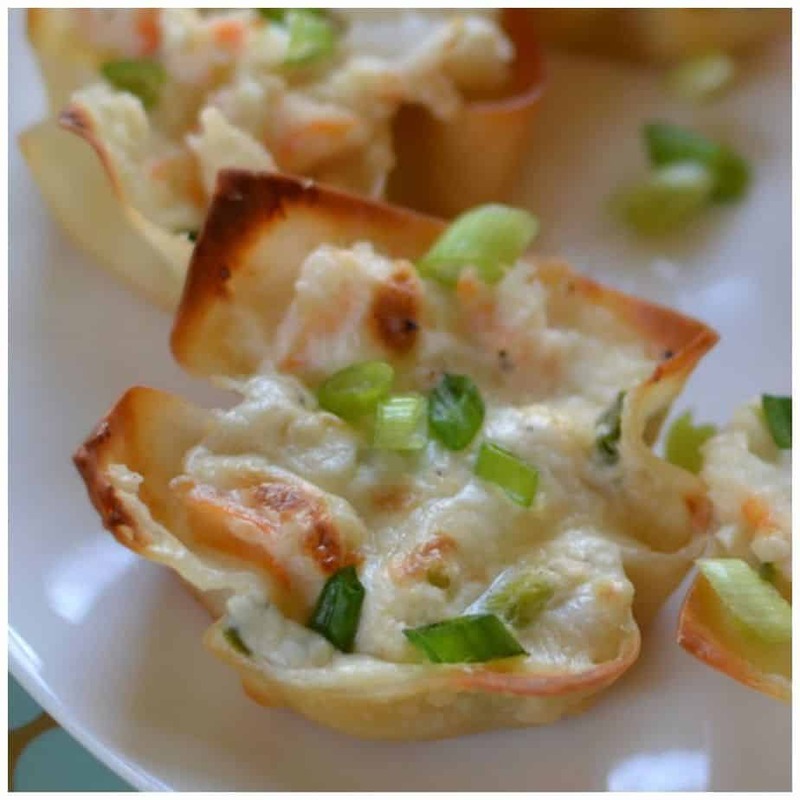 These tasty Triple Cheese Shrimp Dip Wontons combine shrimp, cream cheese, Swiss cheese, Parmesan cheese and garlic baked into a crispy wonton. The end result is pure heaven. 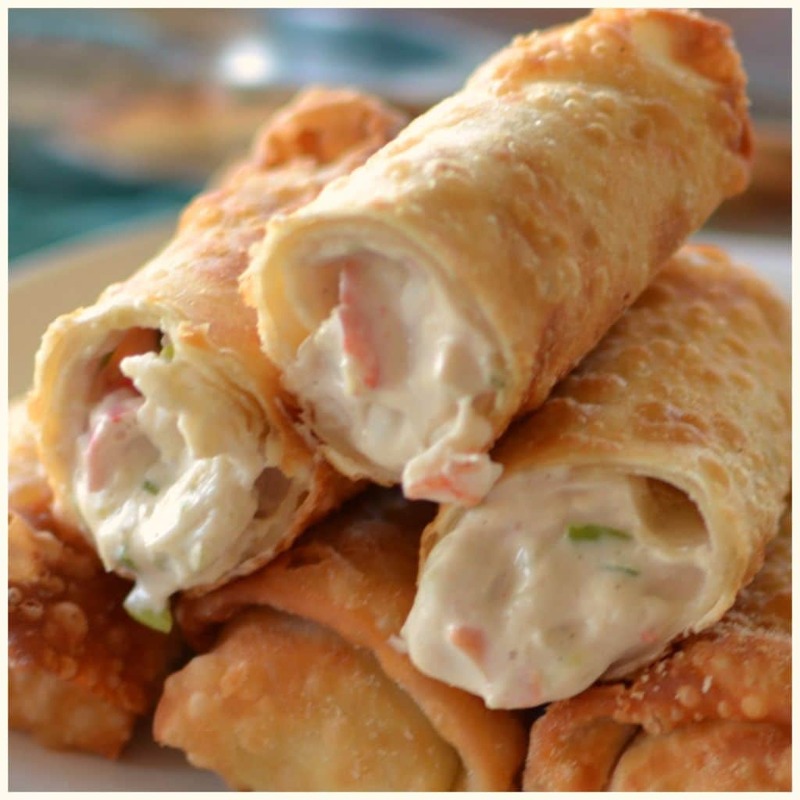 So if you love to entertain, love to cook, or maybe just love amazing appetizers than these are a must make. Put the ingredients on your shopping list today along with a nice bottle of Sauvignon Blanc. Treat yourself and your loved ones to a special treat! You have been working extraordinarily hard and you deserve it. Using pastry brush lightly coat 18 holes of standard muffin pans with melted butter. Gently press wonton skins into muffin pans and brush topside with melted butter using pastry brush. Bake for 8-9 minutes to lightly brown. 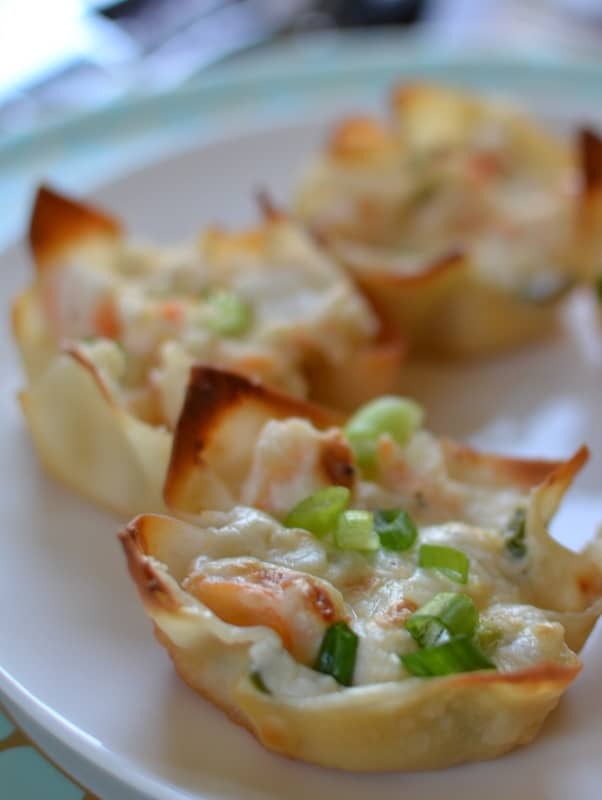 Spoon shrimp mixture into cooked wonton skins. Bake for 15 minutes turning on the broiler the last minute of baking. Stay close by as I have always found broilers unpredictable. Was wondering if you can cook and freeze the triple cheese shrimp dip wontons and then reheat when company comes. You could but I don’t think that they are going to be near as good. I think I would make the dip up a day or two in advance and store in the coolest part of the fridge. 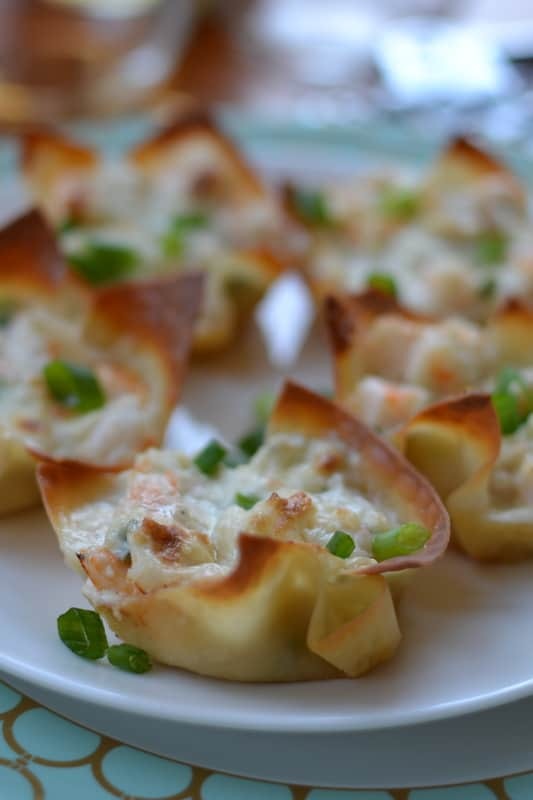 Do the prebake on the wonton shells an hour or two before. Then stuff the shells right before serving. Looking for ideas for using my mega mini muffin pan this holiday, this sounds good! 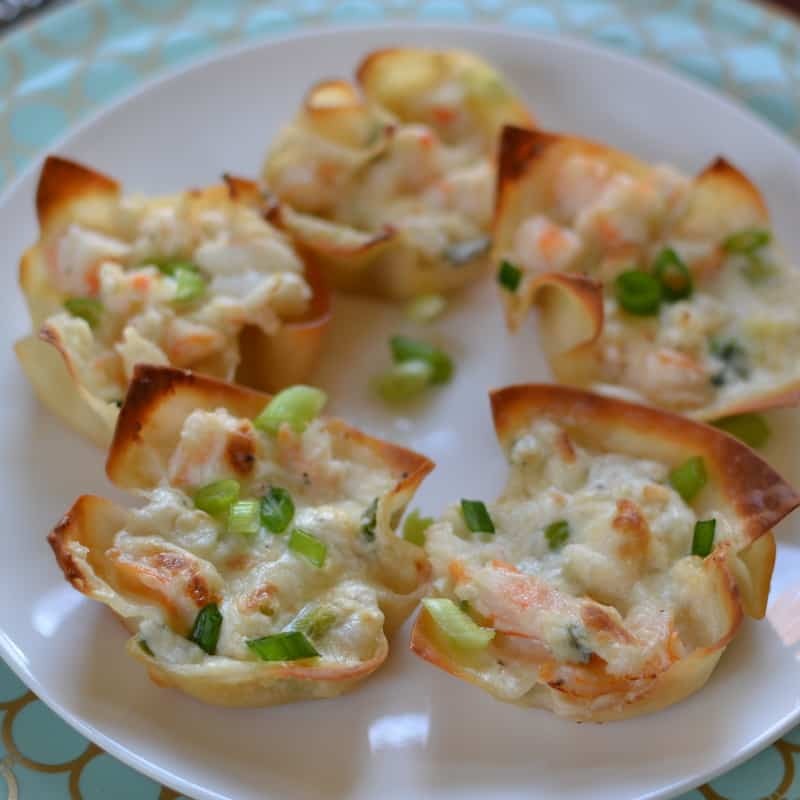 Do you precooked shrimp the shrimp before placing it into the cheese mixture? Can you use a mini muffin tin instead of regular size? Would you then have to adjust cook time? Yes you can. You will probably need about twice as many wonton skins and both times will be less. I would probably do one as a test run. I would think that the browning of the wonton would be about five minutes and the final baking would be about ten minutes. What does , turning on the broiler the last minute mean please ? Most ovens have a broiler. Turning on the broiler will help brown them but you do not have to do it. In fact if you are not familiar with yours I would advise you not to do it since some broilers are unpredictable. 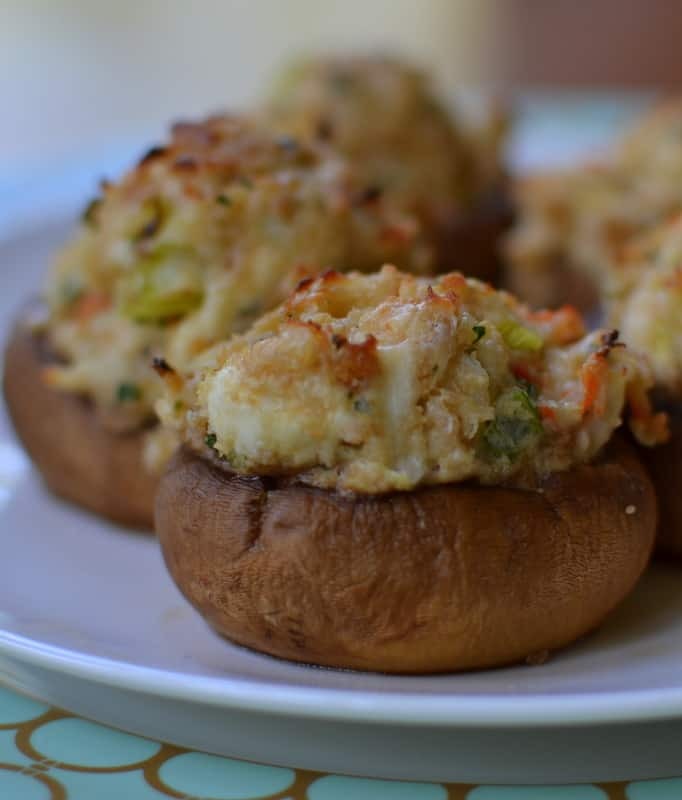 I’m going to make these and some with lobster meet too. Tried a batch today for my party tomorrow and they were delicious, I’m sure it’s going to be a absolute hit tomorrow. Awesome! So glad that you liked them! I hope you have a great party! Awesome! So glad that you liked them Rick!